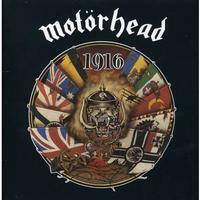 This might not be an obvious choice, but for me 1916 is one of the better Motorhead albums. I’ve always loved this disc and I’d consider it a “must have” album. It’s got plenty of straightahead trademark Motorhead rockers, but also enough variety to keep it interesting. This new reissue includes a couple bonus tracks, too. That’s just two more reasons to love this set. Drums open things here and they fire out into a jam that’s part old time rock and roll, part metal and all Motorhead. This screamer really works well. Another that’s very metallic, this is a powerhouse number with a catchy chorus. This is classic Motorhead, really. I’ve always loved this song. It’s not that different from the two openers, but somehow it’s just more effective. 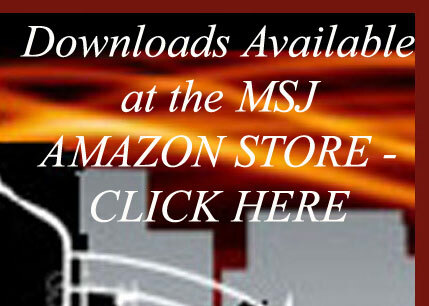 It’s no frills, fast paced metallic rock and roll. Imagine Chuck Berry merged with Motorhead. You are pretty close to what this song sounds like. It’s another screamer and another classy tune on a disc that’s full of both. Some backwards tracked vocals open this. Then they launch out into a jam that’s based on a song from Lemmy’s stint in Hawkwind. This is really a great mix of the kind of sound Hawkwind does and Motorhead. It’s one of my favorite tunes from Motorhead (of all time). More of those backwards vocals are heard later. This cut is worth the price of admission all by itself. Here’s a Motorhead ballad. This is exceptionally classy and another that makes this album a “must have” in my opinion. The contrast of mellower and more rocking is exceptional and the piece just works so well. We’re back into straight ahead Motorhead rock and roll territory here. This is a smoking hot number with a grinding riff. Somehow the arrangement makes me think of Aerosmith at times – think Toys in the Attic era. This grind is metallic and screaming hot. It’s another killer Motorhead tune on a disc that has no shortage of them. Fierce, furious and raw, this is the perfect Motorhead tribute to the Ramones. It should appeal to fans of both bands. While not a huge change, this powerhouse is classic Motorhead. I could see some people not liking this piece. It’s very different for Motorhead. It’s a mellow tune that has world music, symphonic elements and progressive rock built into it. It’s a thoughtful piece about World War I. Say what you like about it, but I love it and think it’s another that makes this a required Motorhead album. The first of two bonus tracks, this is a fiery, metallic jam that really rocks. It’s a smoking hot Motorhead number. I love the short bass solo on this. “Dead Man’s Hand” is the second (and final) bonus cut here. Raw Motorhead metal, this is another powerhouse. Although the slowing it down effect at the end is a little odd, it really works well.